In the Garden of Eden, the Devil in the disguise of a snake was the first “Marketer” to the first human beings, Adam and Eve. The Marketers and Marketing strategies have evolved since. Neither are they Devils nor are they as scary as snakes. With radical makeovers, they appear charming like never before. 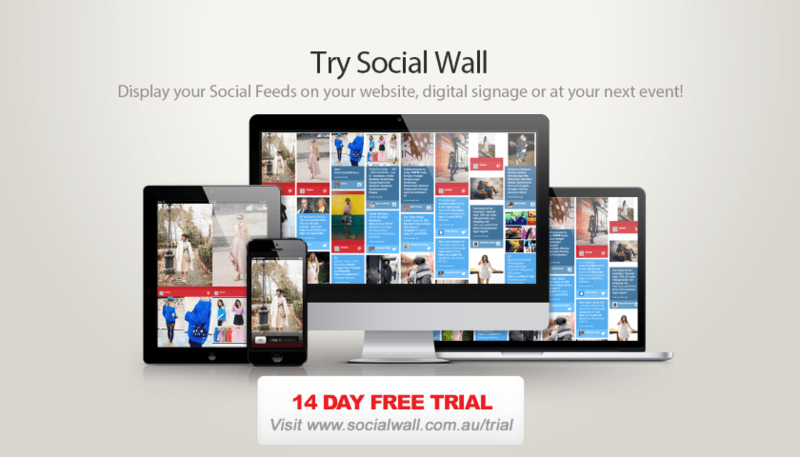 Digital Signage does what the Apple did; Tempt and Fructify customers. The origins of Digital Signage can be traced back to attractive Flex Banners and their mechanical rotation. 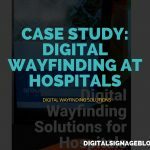 With constant updates and evolution in the field of technology and standards of living; flex banners journeyed from TV Displays to IoT and NFC enabled interactive Digital Signage. TV Displays formerly used fixed inputs from various devices and displayed the information. These days, Digital Signage are able to display customized ever-changing menus with little investment. There are fresh tricks in the market every day in the field of Digital Signage. 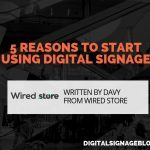 With IoT support, Bluetooth connections, NFC, proximity sensors and all smart devices (who are too smart for their size), advertising with Digital Signage has become an art in itself. 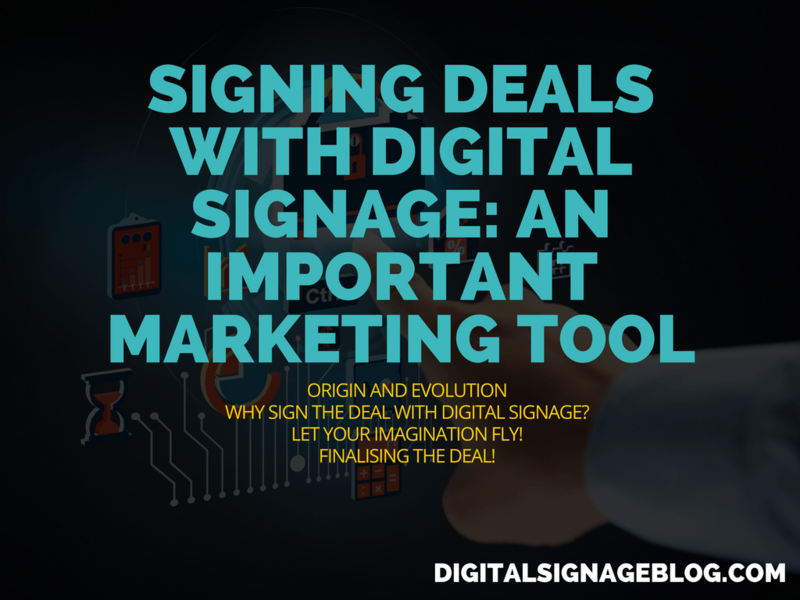 Why sign the deal with Digital Signage? 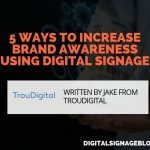 Digital Signage manifests itself against Traditional methods for advertising in the following ways. It is a long-term marketing strategy for Retail, Government, Education, Healthcare and many more. And yes, these beautiful displays make our Traffic-stops and Public-places more interesting! Compared to static displays, digital displays capture more viewers and help increase product awareness. 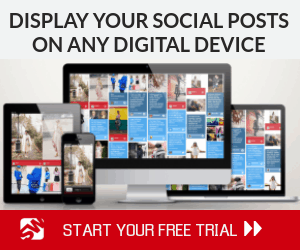 Digital displays are said to capture 400% more views than the traditional methods. When the glitters bring in the viewers, do your best with the increased traction due to attraction and fructify your investment. Digital displays are able to generate engaging customer experience as they easily influence purchasing decisions by using appetizing images, special offers, and more. We all know, we should not judge a book by its cover; but we all do! Humans by default are attracted to glossy things, so establishing a brand identity with polished advertisements means attracting more customers. Quick Service Restaurants benefit the most out of Digital Signage. The complete menu display on screens, customers can easily decide their order before and reduces the Queue. Digital Signage have Direct Integration with Restaurant Management Software, which connects POS, Kitchen display and Digital Menu boards. Save Paper and Money too! Digital displays eradicate the need for Print Media for ever changing; thus, reducing the cost and saving the environment. 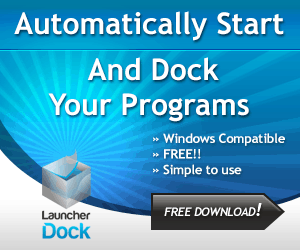 With installed templates and designs, advertisements can be made in a jiffy. Care for your customers and employee by broadcasting Real-time Information from various sources. Real time weather conditions or factory conditions; inform both the customers and the employee about the actual state. This helps them decide their course of action. 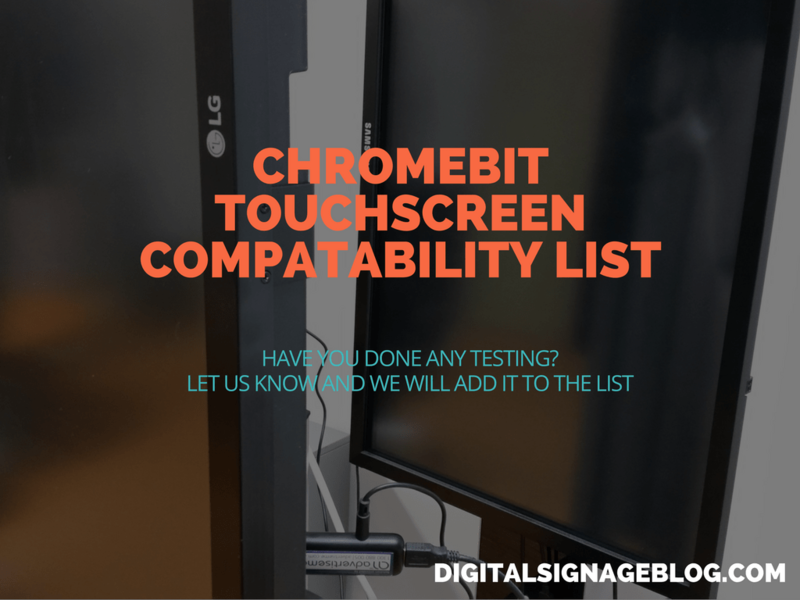 Let your digital signage do all the talking for you. 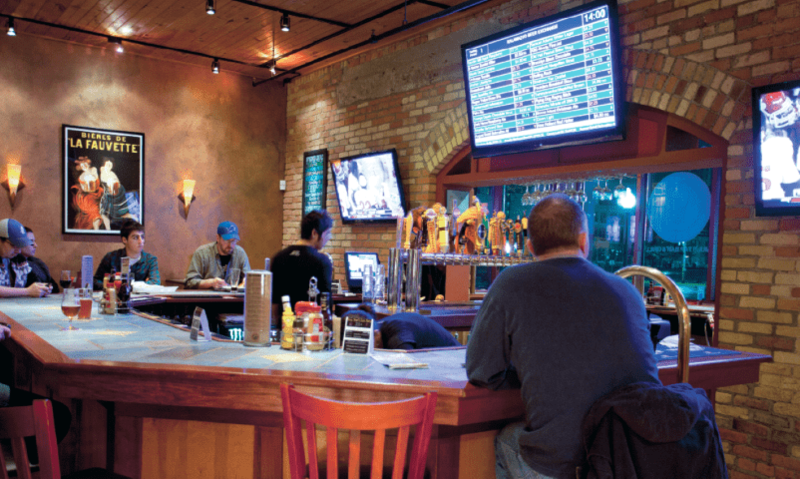 For a bar named Kalamazoo Beer Exchange in southern Michigan, the up-to-the-minute popularity of the drink determines its pricing. With the stock exchange model at the hindsight, Kalamazoo employs digital displays in ways never imagined. Now, let your Imagination Fly! When Adam took over the Devil in the field of marketing, the marketing tools have come a long way. 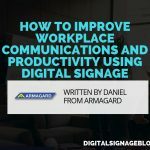 With digitization in every field, Adam has outdone himself in the field of Digital Signage. 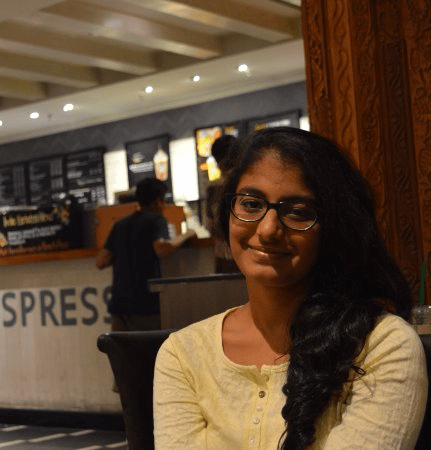 Karshi Kapadia – A Grammar Republican with Analogies and Figures of Speech under her sleeves. She loves anything that tickles her creative bone. She currently works with SoftwareSuggest as a content writer. I really love your point about long-term advertising and investment. Signage of any kind really stands above all advertising in one way: it’s perennial! Monthly advertising costs can be a hassle, unless one finds a good deal. A sign, if made well, will last for decades.